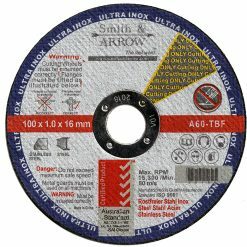 8 Pce Mixed Abrasive Box Cutting, Grinding, Flap Discs. 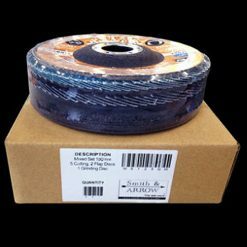 Includes 5 x cutting discs, 2 x zirconia flap discs, and 1 x clean and strip disc or 1 x grinding disc. 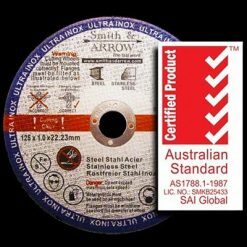 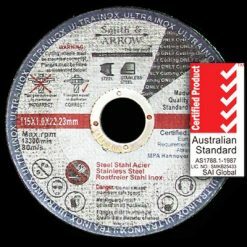 Cutting Discs are SAI 5 Tick Safety Certified. 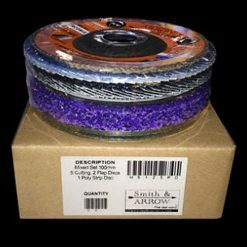 M35 - #11, 5mm 3/16"
M35 - #20, 4mm 5/32"
M35 - #30, 3mm 1/8"
M2 - #30, 3mm 1/8"